At Albany Refrigeration, we are agents for a range of “Skope Misa” freezer rooms and coolrooms, and can supply you with an assembled operational room or alternatively, a DIY flat pack with full assembly instructions. We stock refrigeration equipment specifically designed to meet the storage needs of different products under varying conditions. 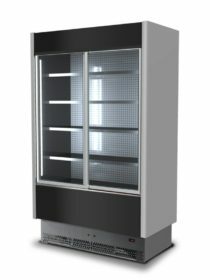 Whether you are in need of the ideal display fridge to showcase your company’s products, a coolroom that meets the perfect conditions for preserving your perishable goods, or if you seek a large choice of glass door fridges in Melbourne and surrounds, we are the commercial refrigeration experts to help guide you in your choice. All our products are designed to comply with strict FSANZ (Food Standards Australia and New Zealand) standards for maintaining food temperature. With decades of experience, the team at Albany Refrigeration works with schools, institutions, federal and local governments, aged and early care facilities, and businesses ranging from small delis to large industrial-sized manufacturing operations. We are familiar with the distress and disruption that occurs for businesses if sub-optimal equipment is chosen or if the refrigeration is not properly serviced regularly. Over the long run, corners that are cut to save a little money now can translate to big losses in down time and costly waste due to food spoilage from failed refrigeration. Don’t risk goods that are vulnerable to temperature and humidity differences. All of our products are tried and tested for long term reliability. When teamed with our regular operational Preventative Maintenance service, you can have peace of mind regarding your equipment, so you can focus on your core business. A control system storage cabinet that guarantees perfect preservation through innovative ventilation and humidity. Icesta flake ice makers are built to the highest standards using internationally recognised parts such as Bitzer, Maneurop and Copeland compressors, Ziehl fan motors and Danfoss TX valves and controls. Icesta land based fresh water ice makers can produce from 500kg -60,000kg of sub zero ice per 24 hours. Icesta sea water ice makers can produce from 1,000kgs - 20,000kg per 24 hours. Food grade polyethylene liner and non CFC foamed-in-place insulatation. Door lifts up and slides away under icemaker to provide easy access.